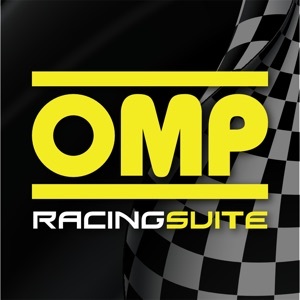 OMP Racing Suite is the amazing experience for amateur racing. 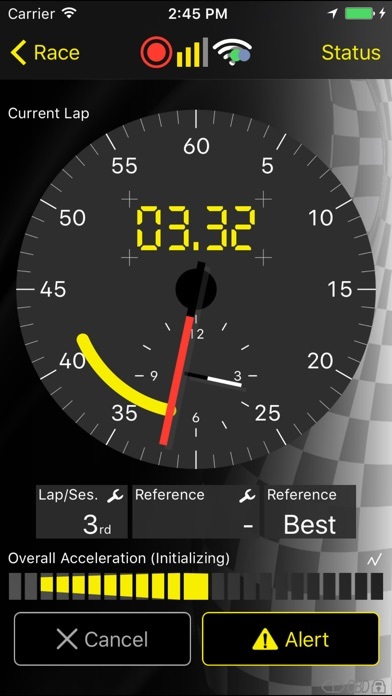 The most elaborated iPhone tool for lap timing with extensive data recording. 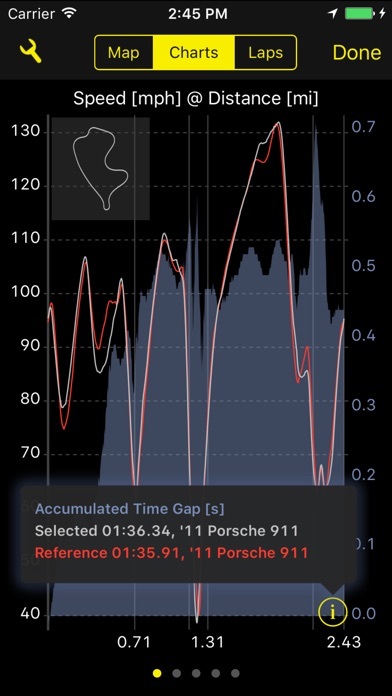 Utilizing GPS and OBD (optional), OMP Racing Suite automatically records your laps and intermediate times - a unique feature on the iPhone platform. 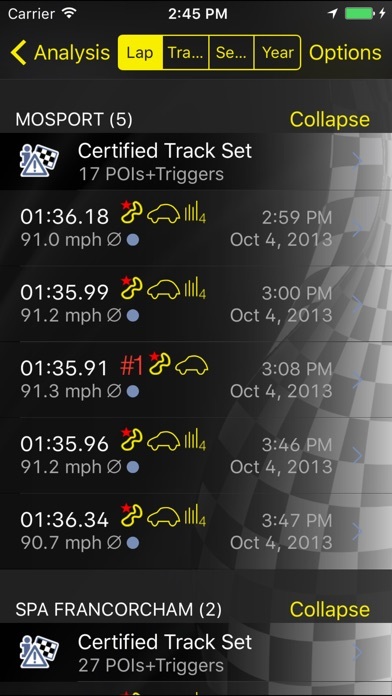 With laps stored in a database, drivers can track their progress while improving lap times. 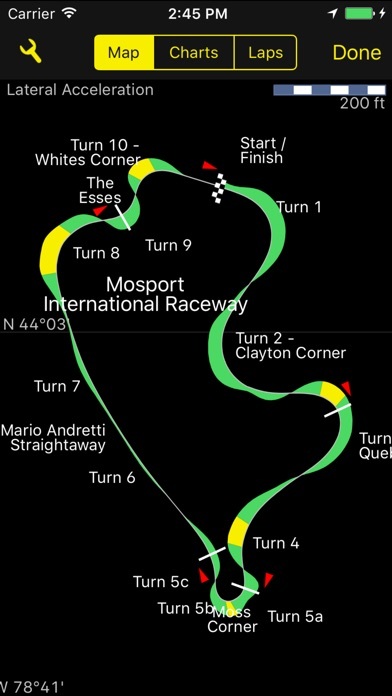 Recorded laps can be viewed and analyzed graphically. In addition to 'on device' analysis, OMP Racing Suite has several export interfaces to convert recordings to PDF, CSV, VBO, and KML (Google Earth) files. OMP Racing Suite has NMEA support for external GPS devices. This direct sensor access is unique on the iPhone platform and enhances accuracy by magnitude. Combining OMP Racing Suite with an external sensor makes this solution an extremely inexpensive option compared to standalone solutions. FEATURES Special features are: real time lap to lap comparison providing a 'shadow mode'; extensive display of GPS information (position, speed, height, heading, slope, receiver update rate, accuracy, etc. ); top speed recording; real time detection of last straight’s top speed and last curve’s lowest speed; define and refine Points of Interest / triggers to assemble POI and track sets; automatic accelerator calibration; fancy acceleration view including peak values and zooming. 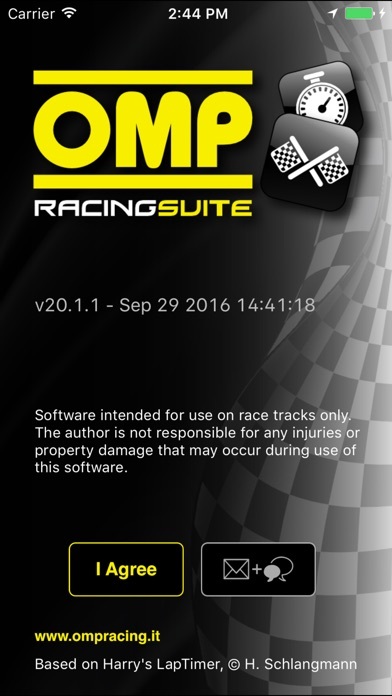 MORE INFORMATION OMP Racing Suite supports the latest iPhone and iPod touch devices. iPhone OS 7.1 or later is required. OMP Racing Suite is developed by Harald Schlangmann with Web World Embassy Inc.